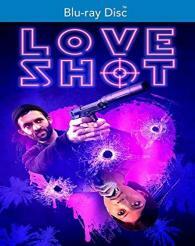 LOVE SHOT follows MAX, a modern day hitman working in Los Angeles, who coincidentally meets one of his targets, KAREN, a karaoke hostess in Koreatown. When Max hears Karen sing for the first time, he feels compelled to spare her life and offers to help hide her until everything blows over. The pair inevitably fall in love, and Max realizes he needs one last job before they can leave town together. Max secures a job with Jewish business man, TONY, who recently moved his money laundering outfit into a restaurant in the heart of Koreatown. Tony needs Max's help to eliminate any resistance from the Korean mob. Both outsiders in a culture that doesn't accept them, Max and Tony have an emotional understanding of one another. When Max learns that Karen and Tony share a history of their own, aspects of Karen's past challenge Maxs decision to save her. The story is a dark, yet comic look at new relationships through the lens of a genre movie as it explores the underbelly of Koreatown.